2. Make homemade soup – It may not have a reputation as being the most exciting type of food, but homemade soup that is bursting to the brim with healthy vegetables is the best body, mind and soul food there is, except, that is, for…..
3. Eat chocolate (in all its glorious forms, but especially Dairy Milk Dime Bar Crunch and dark chocolate Liebniz biscuits) like it’s going out of fashion – Scientists the world over agree that chocolate makes us happy. Not only that, dark chocolate is even good for us. I rest my case, your honour. 5. Wear slipper socks – There’s nothing nicer than getting in from a long day at the office, kicking off your shoes and transferring your tootsies into a nice toasty pair of slipper socks before you settle onto the sofa for the evening (hot water bottle and hot chocolate optional extras). 7. 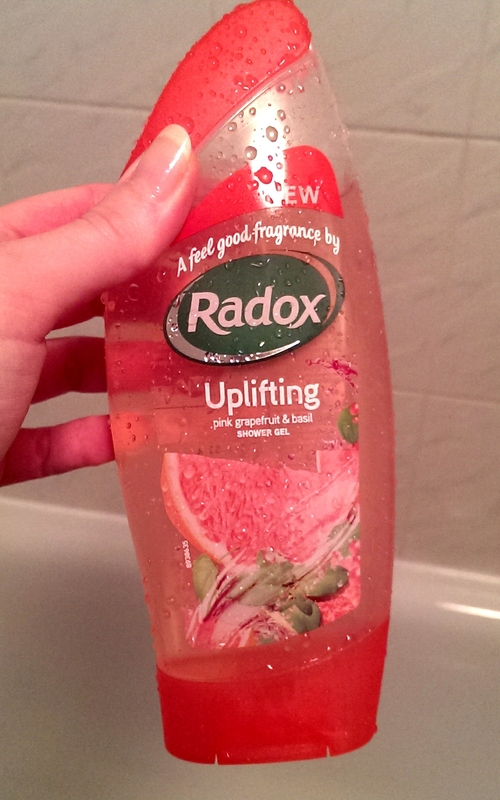 Buy some Radox ‘Uplifting’ pink grapefruit and basil shower gel – Once you’ve tried it your morning showers will never be the same again. Trust me. This entry was posted in Real life and tagged advice, chocolate, exercise, friends, holiday, homemade soup, massage, radox, slipper socks, winter blues by Belle365. Bookmark the permalink.